Kindle 2 eBooks Hi. Maria here, from the World Public Library. Today I’m going to show you just how easy it is to download eBooks and AudioBooks to your Kindle 2, 3 or Fire device. 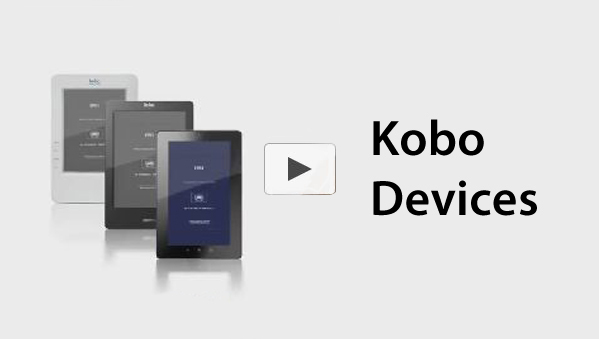 Lets start by learning how to download eBooks to a Kindle 2 device. Just like this one here. First, plug your Kindle USB cable into your Kindle device, then plug the other end of your USB cable into your PC or laptop. The screen on your Kindle device should now read “USB Drive Mode” Now, use your PC or laptop to navigate to the World Public Library website. You can find us by typing WorldLibrary.net into your browser or search for us using Google by typing in World Public Library. Then select our site from the list of search results. After arriving at our homepage, be sure to log in by selecting the “My Account” button at the top right corner of the page. Then enter your username and password and click “sign in”. 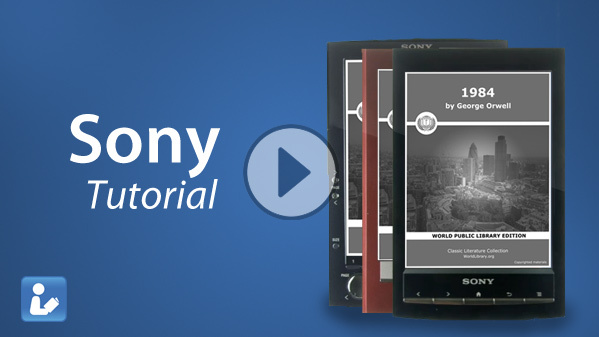 Now that you’re signed in, lets navigate back to the home page and review some of our exciting and easy to use eBook discovery tools. There are our daily picks. Our author spotlight, which updates regularly, and a list of local favorites. This list is great because it gives you insight as to what readers in your area are enjoying. You can also choose a book by browsing through our authors in the authors community section. Another fantastic tool is our eBook finder search engine located near the top of the homepage. Now lets find a book. First select the “Books” tab located in the main menu bar. 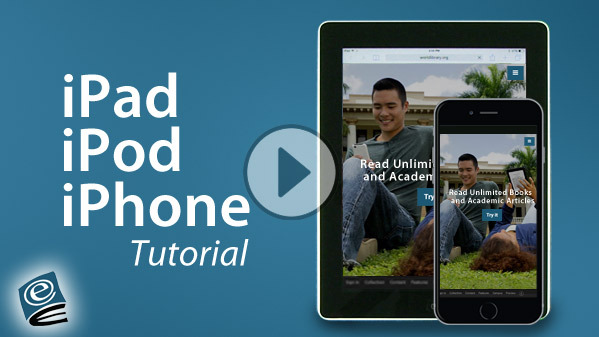 Scroll down and find the eBook library collection and select the “+” sign next to the eBook library collection. Then scroll down the page again until you find the Kindle eBook collection. Select this collection. All of the books in this collection are specifically designed for use on your Kindle device. Don Quixote is a classic. Lets select this book by clicking on the image above the book title. This brings us to the “book details page” where you can find all sorts of useful information about the book you’ve selected such as the publisher and even the file size. Now lets save this book to your Kindle 2 device. First left-click the title of the book. At this point you will be prompted with a login window. You are required to log in twice because your profile and your eBook access accounts are on two different servers. Your profile will last forever but your eBook access account requires an annual payment. Enter your username, password and click ok. From here, the download process for each internet browser is slightly different so lets walk through each browser step by step. If using Mozilla Firefox, in the window that pops be sure that Save File has been selected and click ok again. If using Internet Explorer, a small window will pop up on the very bottom of the screen. Select Cancel. Now that you’re logged in, you can right-click the title of the book. And select Save Target As. If using Safari, click cancel in the window that pops up, then close the downloads window. Now right-click the title of the book. 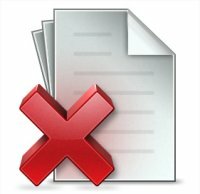 Then select “download linked file as” If using Google Chrome, right click the title of the book then select “Save Link As” Regardless of the browser you’re using, one additional window will appear. Scroll down the left side of this window to locate your Kindle device. And select. Now locate the documents folder and select. Then click save. Once you’ve saved your book, you must eject the Kindle device. To do this, select the start button at the bottom left corner of your screen. Now select “computer”. Find your Kindle on the right side of the window that pops up, right-click your device and select “Eject”. Now you can find your new book available to enjoy on your device. KINDLE 3 & FIRE EBOOKS In addition to access of the Kindle eBook Collection, the Kindle 3 and Kindle Fire devices are also capable of accessing our entire catalog of eBooks. Lets use the Kindle Fire as an example. First, use your Kindle USB cable to connect your Kindle FIRE device to your PC or laptop. The screen on your Kindle device should now depict a USB cable. Turning your attention back to your PC, after arriving at our homepage, be sure to log in by selecting the “My Account” button at the top right corner of the page. Now that you’ve logged in, lets find a book Select the “Books” tab. Now select the Blackmask Online Collection. This collection has thousands of great titles. Lets select one of my favorites, “1984” (pg 9) by clicking on the image above the book title. 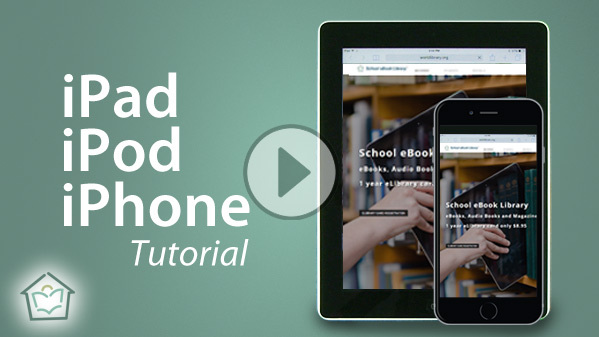 Now you can save the book to your Kindle Fire device. Remember. The download process for each internet browser is slightly different so be sure to refer to the earlier portion of the video if you need help with the download of your book. After downloading you must eject the Kindle device. You can do this with the Kindle Fire simply by pressing the “disconnect” button on the screen. Then you find your eBook available to listen to on your device by tapping the “docs” folder and then selecting your book. 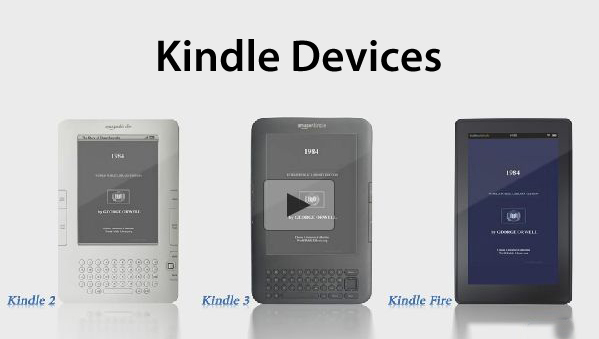 KINDLE 2, 3 & Fire AUDIO BOOKS The Kindle 2, 3 and Fire also allow us to download Audio Books. First, remember to use your Kindle USB cable to connect your Kindle device to your PC or laptop. The screen on your Kindle device should now read “USB Drive Mode or depict a USB cable.” Turning your attention back to your PC, after arriving at our homepage, make sure to log in by clicking the “My Account” button at the top right corner of the home page. Now that you’re logged in, lets find an audio book. First hover your cursor over the “Books” tab near the top of the page. 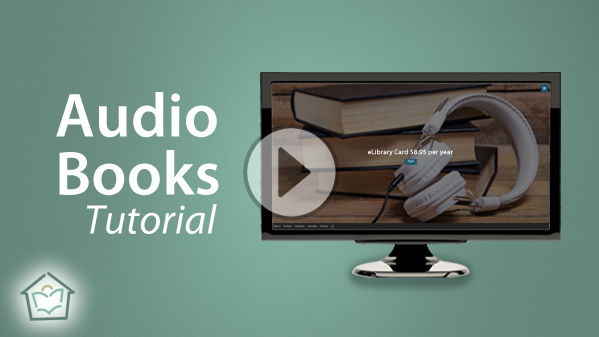 Now select “Audio eBook Collection.” in the drop down menu. This takes us to our our audio library. 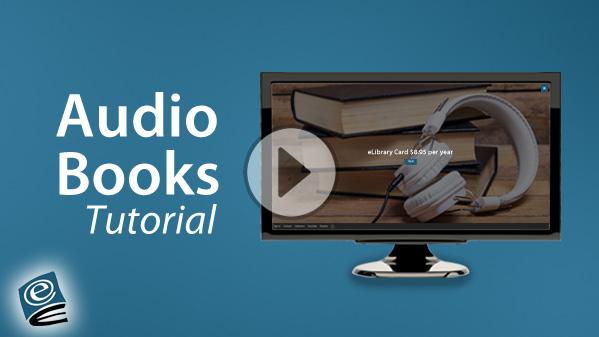 Lets select “20,000 Leagues Under the Sea.” All of the books in the audio collection have been divided into chapters for your listening convenience. The chapters are listed on this page. Lets select chapter 1. This brings us to the “Book Details page” which has all sorts of useful information about this book such as the author, publisher, and even the file size. If you scroll down you’ll see that the book has automatically begun playing and that the other chapters of the book are listed below the audio player here. Now lets save this audio book to our Kindle device. Remember. The download process for each internet browser is slightly different so be sure to refer to the earlier portion of the video if you need help with the download of your book. Be careful however, not to save your audio books to the documents folder on your Kindle device. When downloading audio books always save to the audible folder instead. 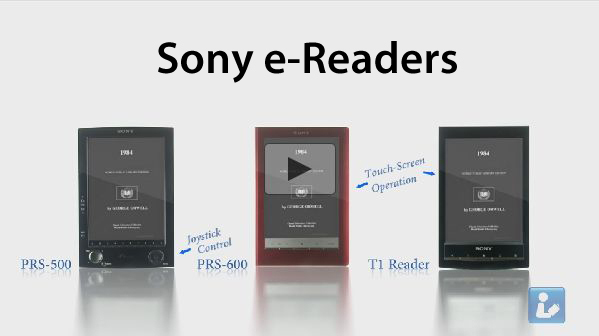 Before you enjoy your new audio book, remember to eject the Kindle device. After ejecting you can find your Audio Book available to listen to on the front page of your Kindle 2 device. Simply select play. If using the Kindle Fire your book will be ready for you to enjoy inside of the music folder. SURFING WITH THE KINDLE 3 & KINDLE FIRE The Kindle 3 and Kindle Fire are also web-ready. 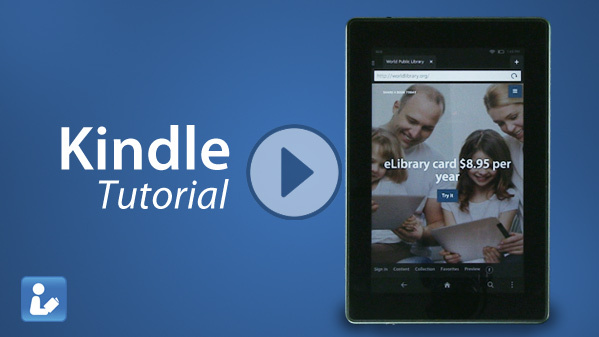 This means you can use your Kindle 3 or Kindle Fire device to navigate to the World Public Library web page and download eBooks and Audio Books directly onto your device; making the world’s books even more accessible. Here’s how easy it is. Lets use the Kindle Fire as an example. First select the “Web” option on your device. Then navigate to our website by typing Worldlibrary.net into your browser. Or use Google to find us by typing in World Public Library and selecting “Google search.” After arriving at our homepage, be sure to log in by selecting the “My Account” button at the top right corner of the page. Then enter your username and password, and tap “sign in”. Now that you’re logged in, lets find a book. Select the Books drop down menu by holding and dragging it downward. Now select the Graphic Novel Collection. Now lets select our Adventures in the Darkness Collection. Select issue number 6 by tapping its image. And then by tapping its title on the book details page. Now our graphic novel will download. Open the recent downloads list by dragging it down from the top of your device. Then select your new graphic novel. Select Adobe Reader. And enjoy. 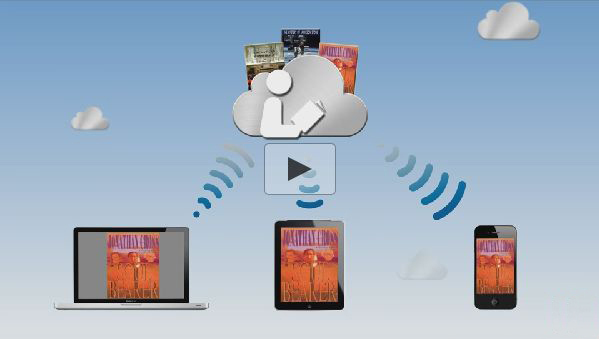 It’s just as easy to download an audio book to your Kindle device. Once again start by selecting the Books drop down menu. Now select “Audio eBook Collection.” Lets select “20,000 Leagues Under the Sea.” And select Chapter 1. This brings us to the “Book Details page”. Download your book by selecting its title. When your download completes your can listen to your book anywhere at anytime. Simply tap the home button, open your music folder and your book awaits. Downloading books from The World Public Library is easy and makes your Kindle device more entertaining and useful than ever before. Thanks for joining us. Until next time, this has been Maria for the World Public Library.